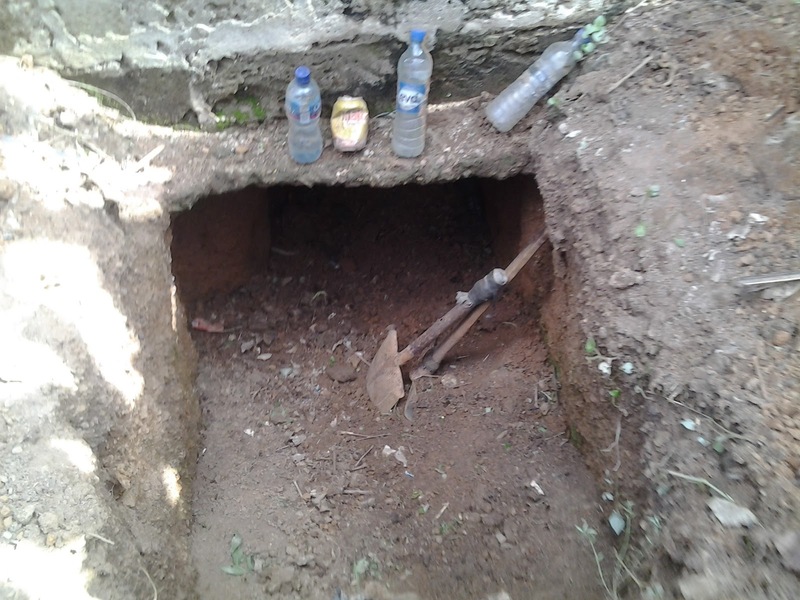 Ondo State Police detectives at the weekend discovered a tunnel leading to the banking hall of the United Bank for Africa (UBA) Akure, the state capital. “If we had not discovered this tunnel and the robbery had taken place, it would have been adjudged as the biggest robbery incident in Ondo State!” The tunnel was dug from the fence of United Bank for Africa (UBA), leading into the banking hall, which would have made access into the bank easy. The tunnel already linked into the premises of the bank, but had not quite close to the banking hall before police discovered it. Another police source said: “The gang apparently planned to carry out the bank robbery operation during the weekend, when they were sure, bankers wouldn’t be around. I WATCHED A MOVIE LIKE THIS!!! THESE FOOLS THOUGHT THEY CAN ACTUALIZE THAT MOVIE…..
Oyinbo movies na im teach them. Naija government, it’s time to ban criminal films that teach Nigerian youth how to rob and kill. Is uba in akure close to undeveloped plots?,how can they dig a tunnel outside peoples notice?.